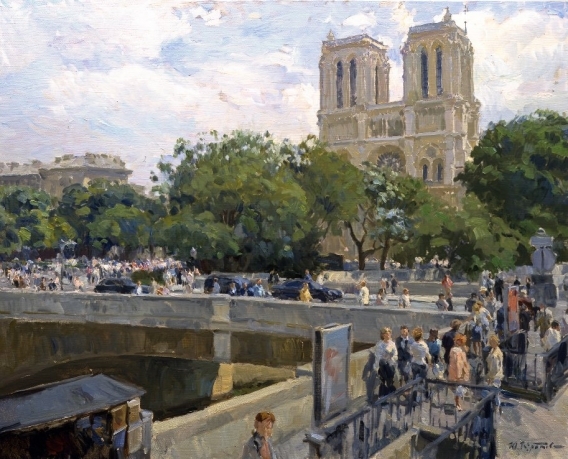 «Notre dame de Paris»; 80x100; oil on canvas; 2005. 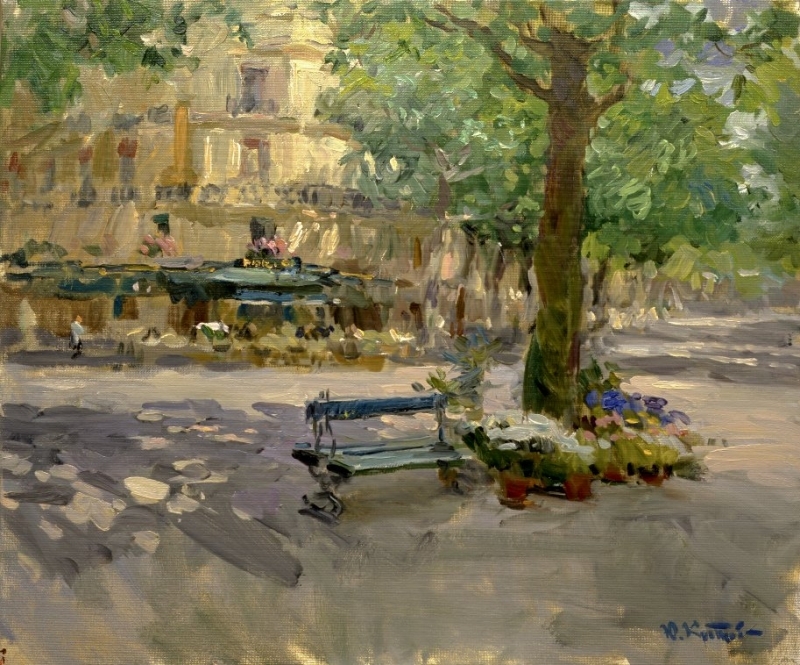 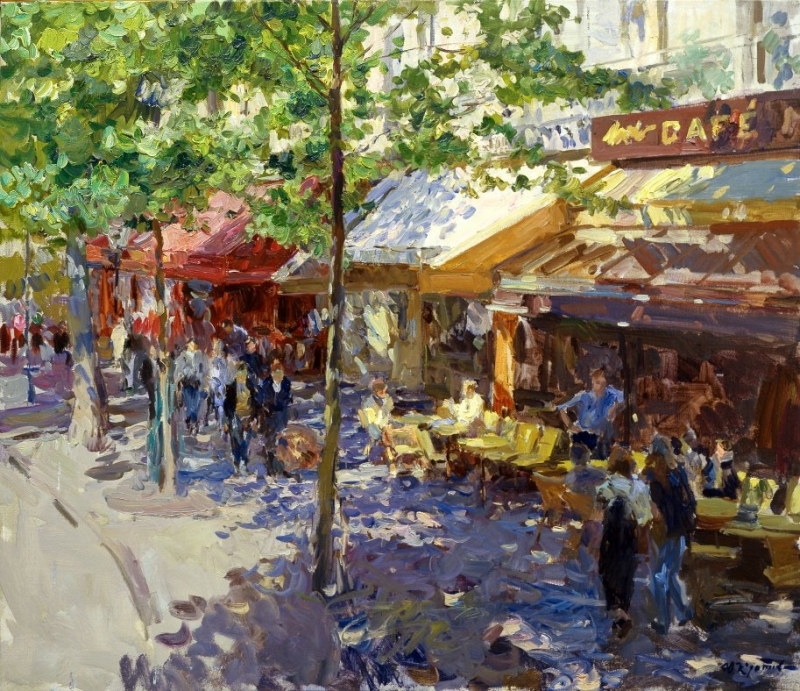 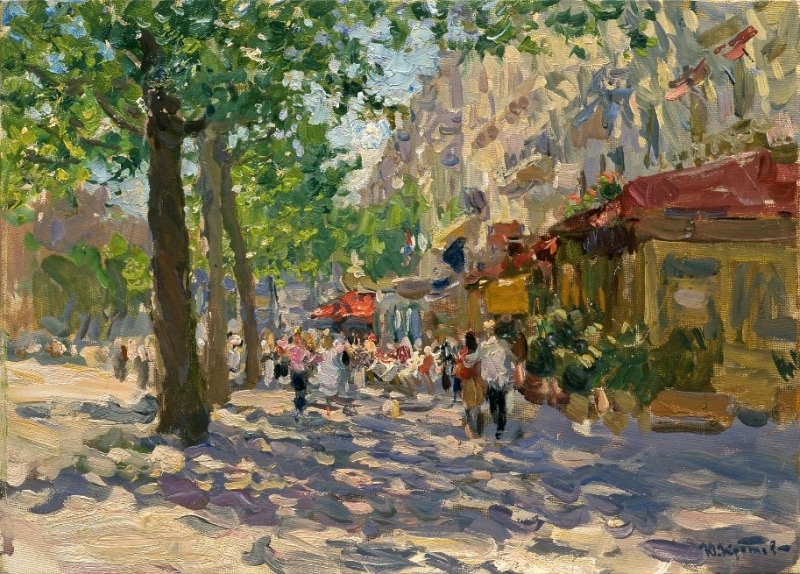 «Boulevard Saint-Germain»61x71; oil on canvas; 2005. «Notre dame de Paris»80x100; oil on canvas; 2005. 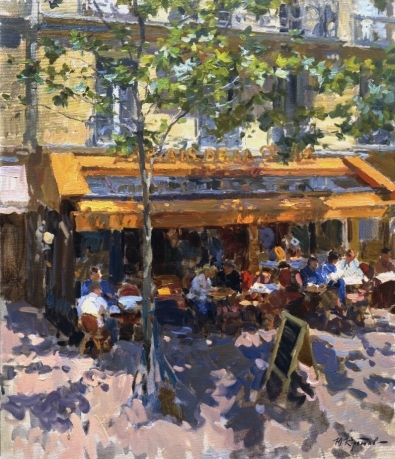 «Cafe on the Boulevard Haussmann»61x71; oil on canvas; 2004. 80x100; oil on canvas; 2004. «Flower shop»46x55; oil on canvas; 2005. 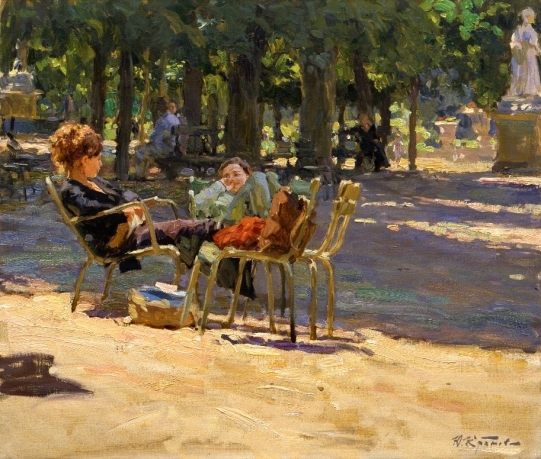 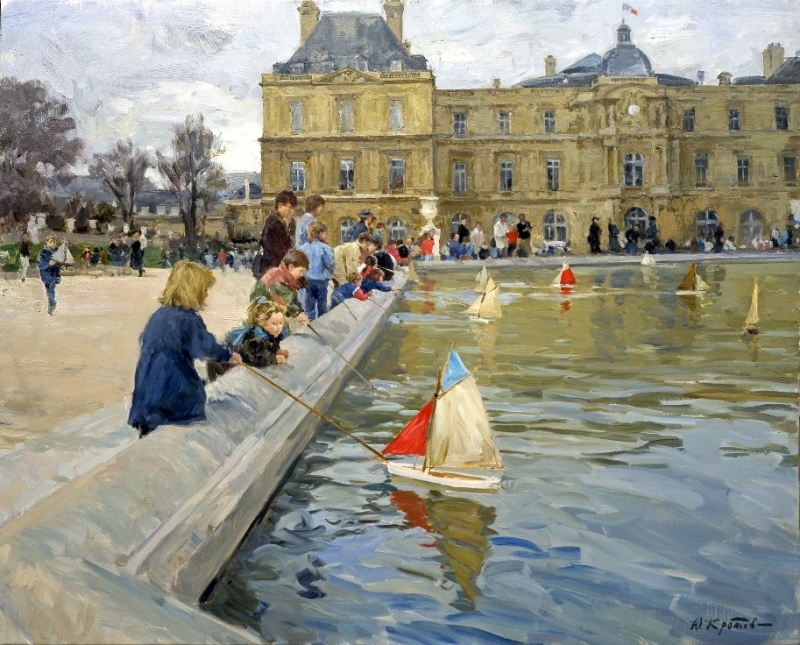 «Students»61x71; oil on canvas; 2007. 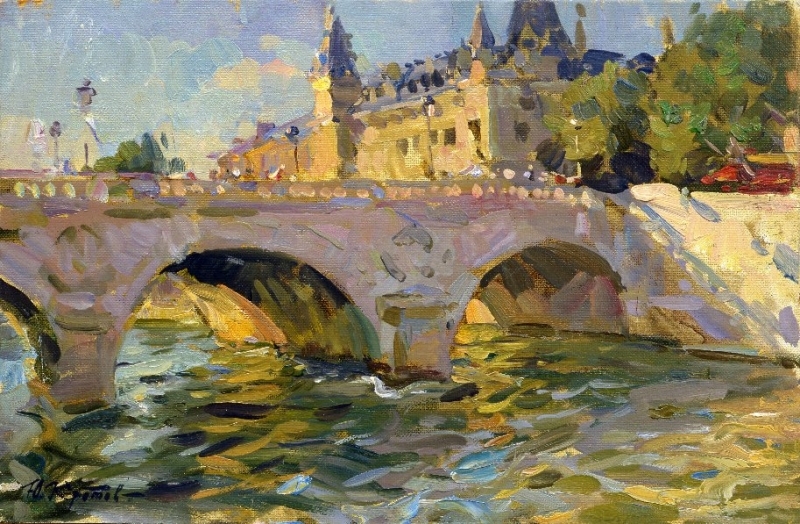 « Bridge St. Michele»38x55; oil on canvas; 2001. 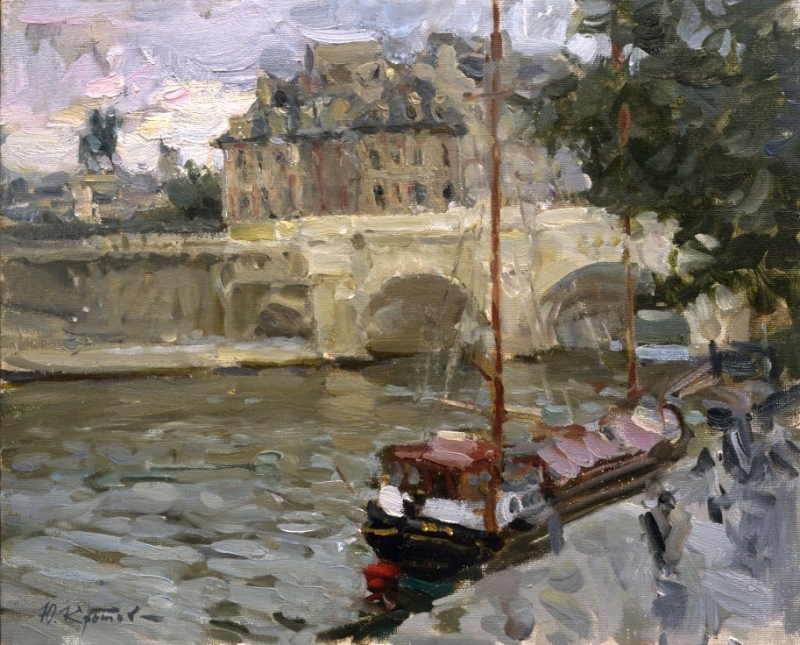 «Seine embankment»35x41; Oil on canvas; 1999. «View of the Parisian cafe from hotel window»71x61; 2006.